Has Your Marriage Lost Its Spark? Now Casting Couples That Want To Rekindle The Flame! Do you feel the spark you once had with your partner is lost? Have you questioned if you made the right choice? 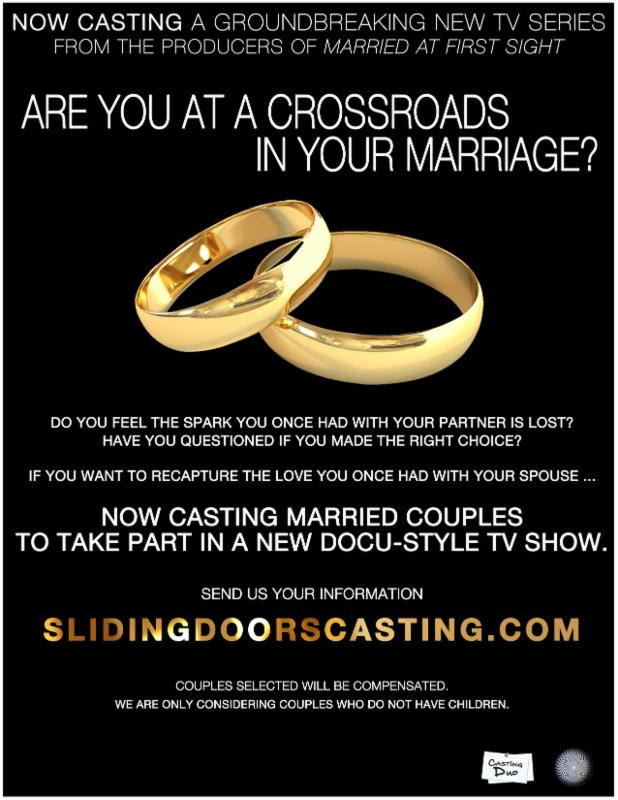 If you want to recapture the love that you once had with your spouse..
Now casting married couples to take part in a new Docu-Style TV Show.